↑ 1.0 1.1 1.2 Welles, C. Bradford (1978). 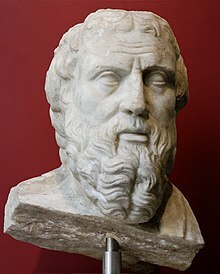 "Herodotus". World Book Encyclopedia. 9. World Book-Childcraft International. p. 199. ↑ G. S. Farnell; M. Goff, eds. (1992). Tales from Herodotus (2nd ed.). Bristol Classic Press. p. x. ISBN 9780862920913. This page was last changed on 26 June 2017, at 08:20.